New Year's Day in South Africa is January 1st each year celebrating the renewal of a New Year with reflections on the past year. 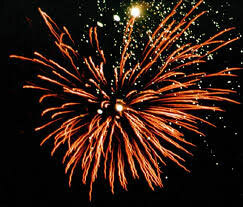 People will start celebrations the evening before New Year's Day with firework shows. One of the biggest shows are at Table Mountain that overlooks Cape Town. The next day many will spend time with family and friends relaxing taking the time off work. This day is a national holiday with most government and businesses closed. In the past when there was slavery, slaves were not granted any days off work, however they were granted one day off a year and that was the first day after the new year, January 2nd. Slaves would use this day off to get together with family celebrate by singing and dancing. Provides calendars for the calendar year for South Africa. Provides the dates for holidays for the calendar year for South Africa. © 2019 www.calendardate.com. All rights reserved.